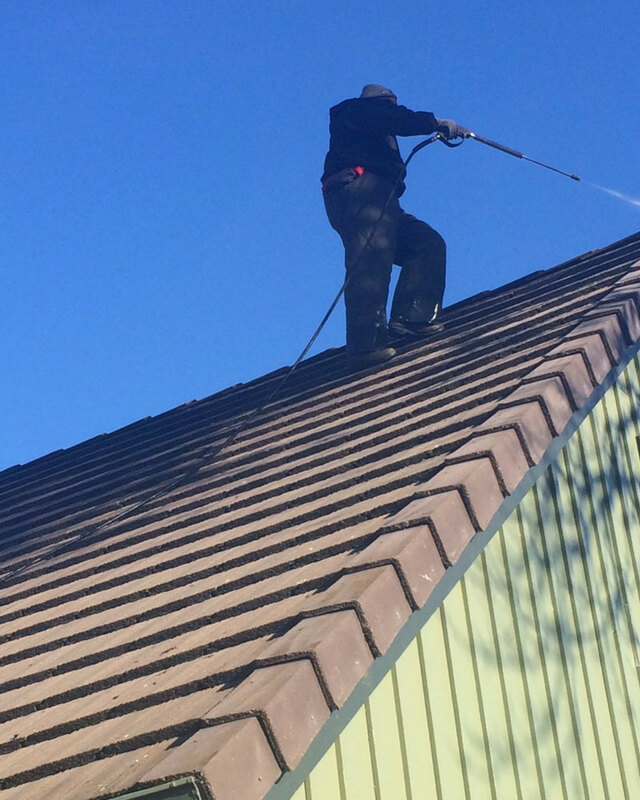 Cutting Edge also offers Gutter Cleaning! 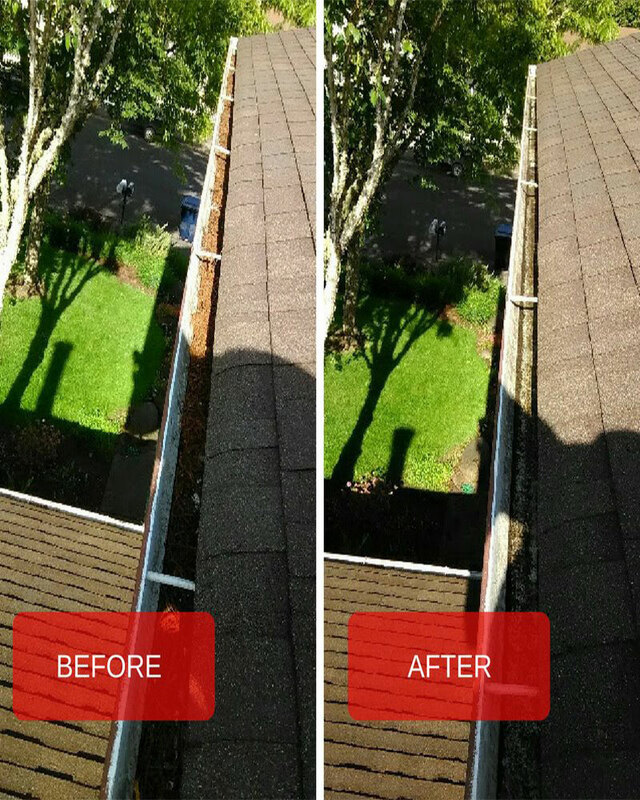 Especially during Fall, gutters in Oregon tend to get really full and leaving them that way can cause problems heading into winter. 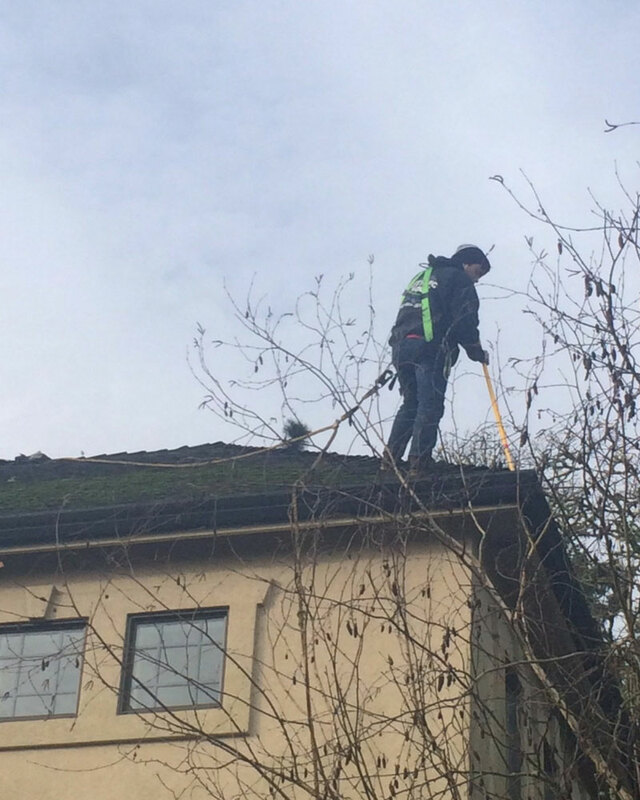 Gutter Cleaning is one of our specialities! Our gutter cleaning method will leave you gutters running smoothly and properly and we won’t leave the mess. If you have full gutters, contact us and we’ll get them clean! 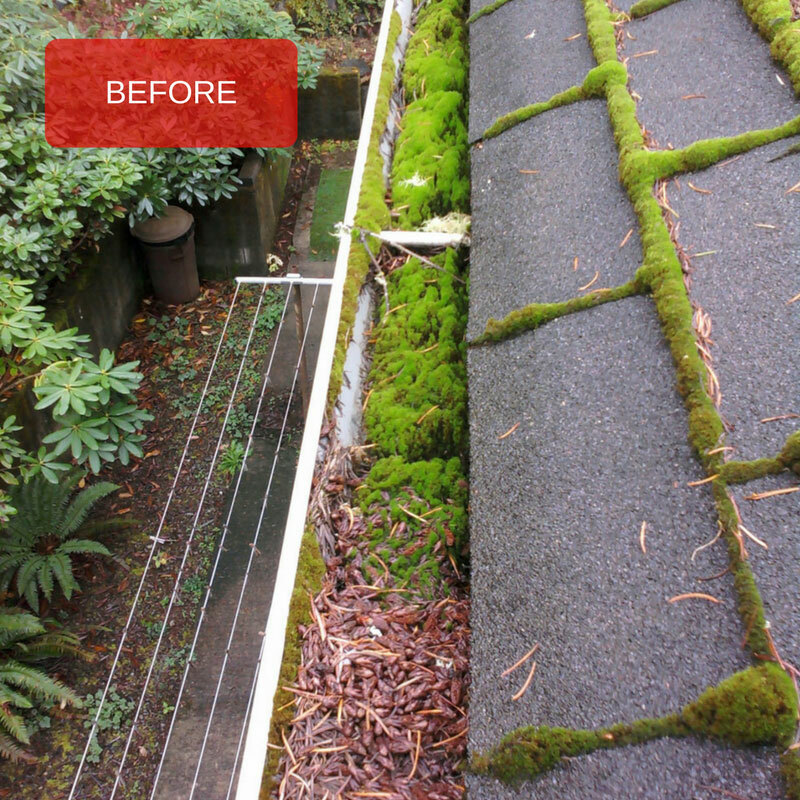 We provide gutter cleaning, roof cleaning and moss removal to homes and businesses of all sizes in Eugene, Springfield, and surrounding area. Why Choose Cutting Edge Window Cleaning Services ? By listening to our customers and their wants and needs, we provide window cleaning and pressure washing services like no other. We treat you and your property with the highest respect, like it was our own. We possess the experience and skill to get the job done right and we are committed to providing our customers with the best our industry has to offer. We are active members of industry associations and forums so we can ensure tried and true results. We believe that our employees are an integral part of the success of our company which is why we make sure our employees are always on the top of their game. All of our employees have passed pre-employment drug screenings and criminal background checks. We also carry a $1 million general liability policy and workers compensation on each and every employee. We demand excellence in everything that we do and we stand by our work. You, as the customer, are paying for results, not for a company to just go through the motions. That is why we offer a 100% satisfaction guarantee on all of our residential and commercial services. Last winter alone there was significant damage due to frozen gutters, burst pipes and other weather related disasters. To prevent this from happening to you, utilize Cutting Edge Window Cleaning Services 5 Step Gutter Cleaning Process on a regularly scheduled basis. Now you can sit back, relax and enjoy your gutters! 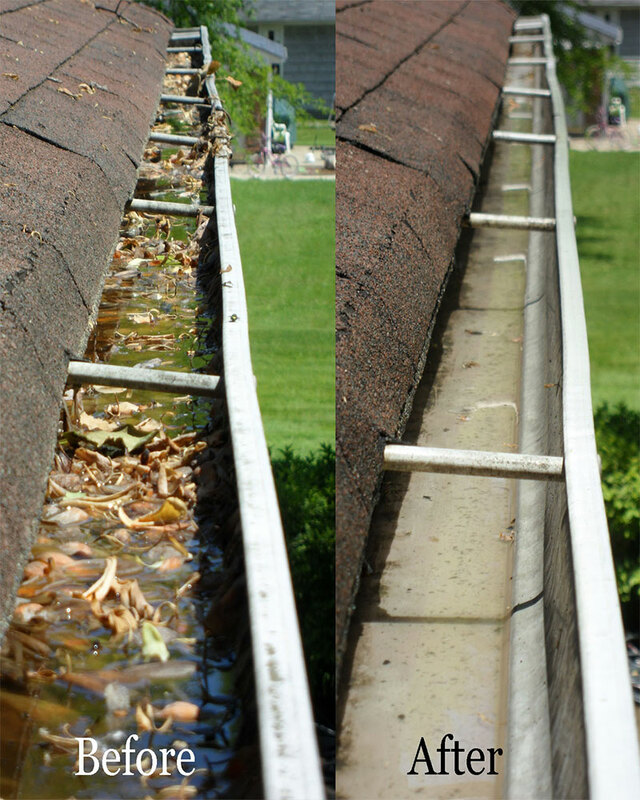 Cutting Edge Cleaning professionals are experts at removing debris from your gutters and cleaning clogged downspouts. 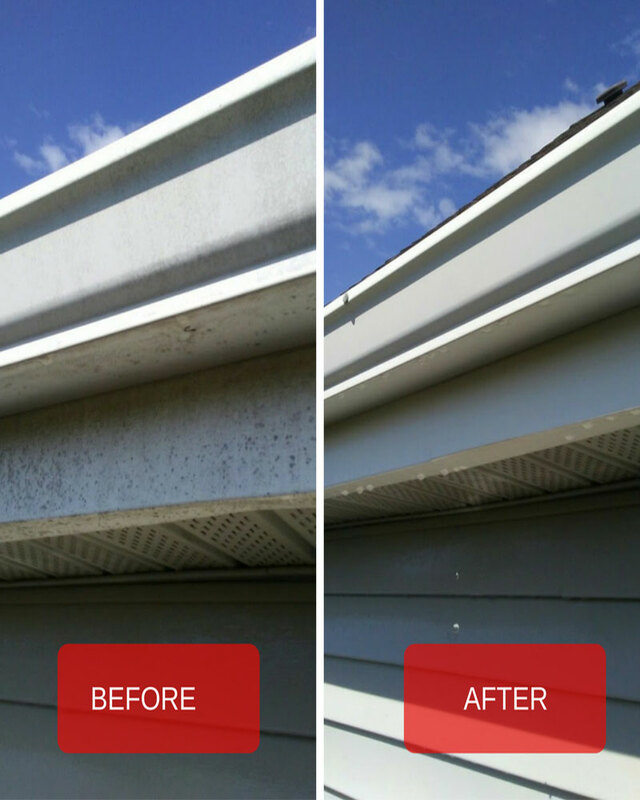 After cleaning our the inside of your gutters, we can also clean the outside of your gutters to make them look new again. 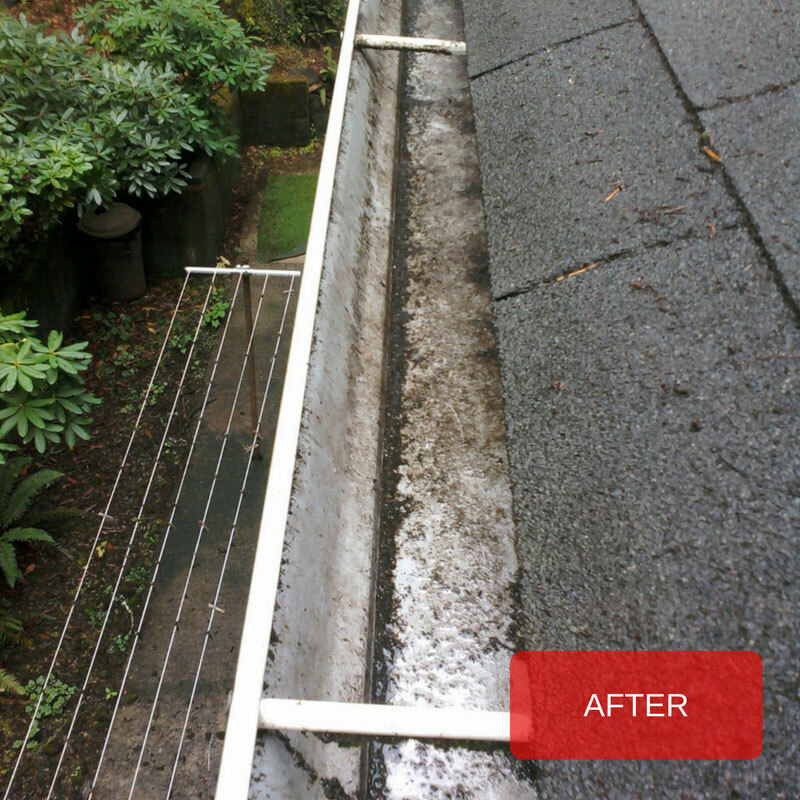 * Here are some pictures from our past gutter cleaning jobs. Clogged Gutters and Downspouts are pretty common in the North West. We may love our trees and forests but like many Eugenians, you may have tiny forests of your own growing out of your gutters and that is a big no no. When gutters don’t do there job the way they are supposed to, you will start to run into some more costly damages. Please contact Cutting Edge with a short job description of your roof cleaning project to receive a free quote. Cutting Edge ensures all services are done to the top-most quality for complete customer satisfaction. All the information you provide is confidential and will be used only to respond to your request. We accept, cash, checks, Visa and MasterCard. We will provide various options that are affordable to your budget and a free estimate that will meet your expectations. Ask about our senior discounts and military discounts! Discounts are offered at the sole discretion of Cutting Edge Window Cleaning Services owner, and are only valid when your estimate meets or exceeds our project minimum charge requirements.